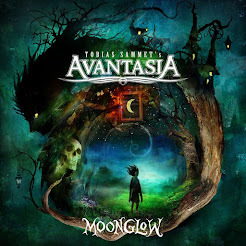 Rock & Metal 4 You: AVANTASIA - first tourdates announced! In March the wait is over: AVANATASIA will release their new album "The Mystery Of Time"! Some of the guest musicians are already confirmed: Biff Byford (Saxon), Michael Kiske (Unisonic, Ex-Helloween), Amanda Somerville (Trillium), Bruce Kulick (Ex-Kiss), Russell Gilbrook (Uriah Heep), Arjen Lucassen (Ayreon), Ronnie Atkins (Pretty Maids), Eric Martin (Mr. Big) and many more will appear on this highly anticipated album. But thats not enough for mastermind Tobias Sammet - he will bring his Metal Opera back to the road in spring 2013! He promises lots of guest musicians, lots of surprises and more than three hours playtime. The first dates in Europe are confirmed. You see them below. Other dates will be added very soon. I'll update this post regularly. The pre-sale for some shows in Germany started already on www.metaltix.com. Stay tuned!